Laurie Jennings is deputy editor at Good Housekeeping and director of the Good Housekeeping Institute. She heads up a variety of content initiatives, from lifestyle packages to product testing. Laurie also leads special projects and editorial innovations for the brand, including GH’s entry into voice-enabled content for Amazon Alexa and Google Home and the monetization of editorial through e-commerce. Her first victory at GH was relaunching the magazine’s health section. More recently she has conceptualized and directed editorially driven business opportunities, marketing initiatives and strategic content partnerships, including a new concept space, the Kitchen of the Future Powered by Miele; print and digital programs with Walmart, Microsoft and The Honest Company; as well as special events like Good Housekeeping’s upcoming Green Summit and Innovation Day, Raising the Green Bar. 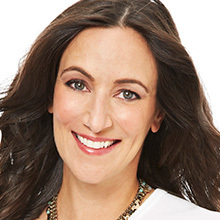 Prior to working at GH, Laurie was the executive editor and health director at Chatelaine, Canada’s largest women’s magazine. Under her leadership, its health section was nominated for several National Magazine Awards, winning two. She also led Chatelaine’s parent company Rogers’ most successful stand-alone iPad app, Chatelaine 10-Minute Fitness, which hit #1 in 49 countries. Today Laurie is one of Good Housekeeping’s primary public faces, appearing frequently on TV and radio, including national shows. She speaks regularly at conferences and other special events. She keeps active with yoga, spinning and running, having completed the New York City Marathon in 2013. Follow her on Twitter @lauriejennings, on Instagram @laurieajennings and on Pinterest @ladylauriej.